In the high-octane, action-adventure Drive Angry, Nicolas Cage stars as an undead felon who breaks out of hell to avenge his murdered daughter and rescue her kidnapped baby from a band of cult-worshipping savages. Joined by tough-as-nails Piper (Amber Heard), the two set off on a rampage of redemption, all while being pursued by an enigmatic killer (William Fichtner) who has been sent by the Devil to retrieve Milton and deliver him back to hell. $5.187 million on 2290 screens. Perhaps someday Nicolas Cage will regain his reputation as one of the finest actors of his generation. 2011’s Drive Angry will not be the film to do that trick. John Milton (Cage) embarks on a quest across the southern US. Along the way, he meets diner waitress Piper (Amber Heard), a badass gal who quits her job and takes Milton on his way after she catches her scumbag boyfriend (Todd Farmer) in bed with another woman (Christa Campbell). As their trip progresses, things get bloody. We learn that a couple of parties are involved and that Milton’s not what he seems. The mysterious Accountant (William Fichtner) pursues Milton and uses the guise of an FBI agent to assist in this task. In addition, cult leader Jonah King (Billy Burke) comes into play, as does a kidnapped baby related to Milton. Some parties turn out to be supernatural, and all use ultra-violence on each other as Milton attempts to achieve his goals. Some look down on Cage because he makes so many action flicks these days. I don’t mind that trend; I like action movies, so I don’t hold Cage’s genre tendencies against him. However, I will judge Cage for the general crumminess of so many of his recent movies. Some are better than others – I actually kind of enjoyed 2010’s Sorcerer’s Apprentice - but most are mediocre at best and awful at worst. Drive Angry falls into the last category. Essentially a vaguely Tarantino-style take on super-violent genre flicks, this one borders on horror film at times. It ladles on so much gore that it threatens to overwhelm the action; the nastiness becomes a distraction more than anything else. Perhaps if the action scenes had more life, I wouldn’t mind, but I get the feeling the gore intended to hide the lack of real excitement on display. With a résumé that includes such forgettables as Dracula 2000 and My Bloody Valentine, Patrick Lussier has enjoyed the career of the journeyman director, and he fails to display any real skill here. More successful as an editor, Lussier goes the all flash/no meat route. He pours on loud, aggressive action scenes, but none of them add up to much. They assault us but don’t entertain us in any way; for all their stylized violence, they’re downright tedious. The choice to shoot the film 3D accentuated the lack of imagination. Except plenty of gimmicky 3D shots, especially during the action scenes. Those went the standard “in your face” route. I suspect these look silly if you see the movie projected in 3D; shown 2D ala this release, they appear even goofier. Don’t expect the actors to contribute much. We find a variety of acting styles – so many, in fact, that at times you wonder if they knew they were in the same movie. Cage mails in his performance; he plays a standard haunted tough guy without any real charisma or heart. Heard tries to be a badass gal but fails miserably; she’s just too sweet and soft to pull off this kind of role. Burke portrays King as a TV movie wannabe messiah. Of the entire crew, only Fichtner delivers anything vaguely interesting. He gives the Accountant a calm coolness that befits an evil supernatural character, and he almost threatens to bring the film some life. Almost sort of kind of – but not really. The plot is a big old muddled mess, and the action scenes do nothing to compensate for the nonsensical story. Nothing here works, so this ends up as a dull excuse for an action flick. Drive Angry appears in an aspect ratio of approximately 1.78:1 on this Blu-Ray Disc. Across this board, this was a strong transfer. Sharpness was excellent. At all times, the movie seemed crisp and well-defined; if any issues with softness materialized, I didn’t see them. I noticed no issues with jagged edges or shimmering, and neither artifacts nor edge haloes appeared. Source flaws also remained absent. In terms of colors, Angry went with a standard modern action film palette. That meant a dry amber tint much of the time, though other stylized tones occasionally appeared, such as when the flick went to clubs. The hues looked appropriate throughout the movie. Blacks appeared dark and tight, while shadows showed nice delineation. All of this added up to a strong visual experience. I also maintained no real complaints about the fine DTS-HD MA 5.1 soundtrack, though it wasn’t quite as distinctive as I’d like. 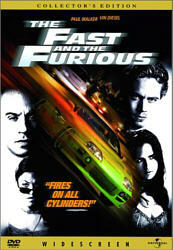 With all the flick’s action sequences, it offered plenty of opportunities for lively material. Those worked fairly well, as they opened up the room and used the various channels to good advantage. The track tended to be very active, but I couldn’t say the elements fit together tremendously well; integration was satisfactory but not stellar. This was a mix with a lot of loud material that didn’t always create the most immersive soundscape. No issues with audio quality materialized. Speech was natural and concise, without edginess or other issues. Music appeared lively and full, and effects came across well. Those elements were clear and dynamic throughout the film. This ended up as a satisfying presentation, even though it needed a little more smoothness to elevate to “A” consideration. The disc comes with a pretty solid set of supplements. We open with an audio commentary from writer/director Patrick Lussier and writer/actor Todd Farmer. Both sit together for this running, screen-specific look at the film's development, script and story, cast, characters and performances, effects, stunts and action, visual effects, music and editing, sets and locations, costumes, and a few related areas. The only minor negative here comes from Lussier’s voice. The poor guy had laryngitis when they recorded the track, and it can be hard to listen to his weak rasp over 105 minutes. Despite the mild annoyance, the commentary includes a lot of good information. Both Lussier and Farmer dig into the movie with enthusiasm and deliver an enjoyable chat. For something interactive, we go to Access: Drive Angry. This mixes trivia, interviews/behind the scenes clips, and “Milton’s Mayhem”. In the interviews we hear from Lussier, Farmer, production designer Nathan Amondson, and actors Amber Heard, William Fichtner, and Billy Burke. The comments look at the writing and development of the script, characters, cast and performances, stunts and action, production design, weapons, and a few other production topics. “Mayhem” is just a goofy counter that keeps track of Milton’s violent acts; it’s cutesy and not actually much fun. The other two components are more useful, as they deliver good notes about the flick as well as background such as facts connected to the vehicles we see. Also, “Access” comes with a user-friendly interface that easily lets you skip parts of the movie that include none of the components; that makes navigating “Access” more enjoyable since you don’t need to sit through tons of content-free gaps. 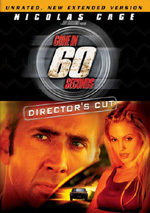 Two Deleted Scenes run a total of one minute, 36 seconds. We find “You Made Me Cheat” (0:36) and “Morgan Girl” (1:00). “Cheat” offers a brief extension to an existing sequence, while “Girl” gives us a little more of the Accountant. The latter is the more interesting, but neither brings much to the table. The disc opens with an ad for Source Code. No trailer for Angry shows up here. If Quentin Tarantino lost his filmmaking talent but continued to direct, the result would approximate Drive Angry. The film wants to be edgy, fun and lively, but instead it’s just dull and utterly forgettable. The Blu-ray provides excellent visuals, very good audio and some decent supplements. With a borderline nonsensical story and boring action scenes, Drive Angry turns into a dud.